Adorable, hard-to-find 2-story in Oak Park Subdivision! Completely updated kitchen with custom cabinets, granite counter tops and SS appliances. Neutral & modern color scheme throughout. Updated bathrooms. Hardwood floors. You will love the finished basement w/ family room, full bath and non-conforming 5th bedroom. The new windows and vinyl siding make this home low maintenance & energy efficient. Walking distance to Oak Park Carpenter Elem and easy access to highways & shopping! Nothing to do here but move in! 103rd to Goddard. North on Goddard to 102nd. Right on 102nd - turns into Melrose. Stay on Melrose and turn left on Ballentine. Follow to house. Overland Park is located in Kansas. Overland Park, Kansas 66214 has a population of 186,515. The median household income in Overland Park, Kansas 66214 is $72,231. The median household income for the surrounding county is $75,017 compared to the national median of $53,482. The median age of people living in Overland Park 66214 is 37.7 years. 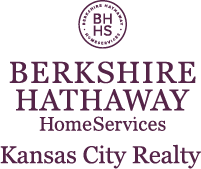 I am interested in 10006 Ballentine Drive, Overland Park, KS 66214.